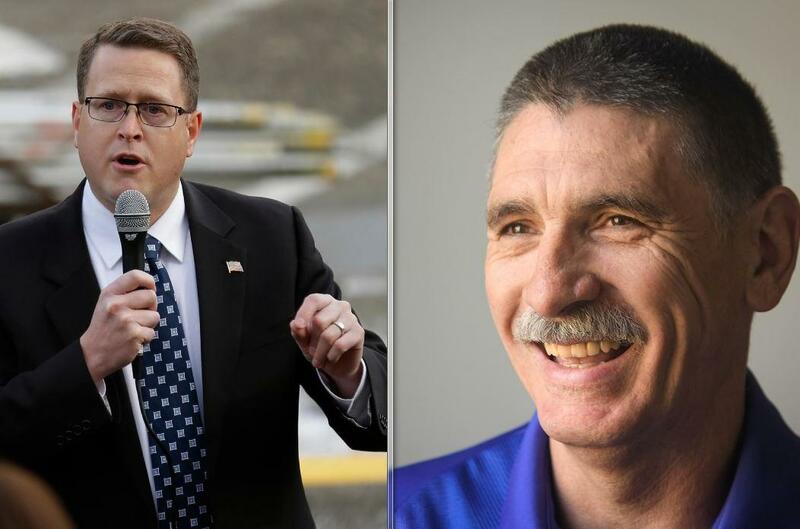 UPDATED: Tue., Nov. 6, 2018, 10:46 p.m.
Republican state Reps. Matt Shea and Bob McCaslin have fended off Democratic challengers in Eastern Washington’s 4th Legislative District. Shea won about 58.3 percent of the vote, defeating Democrat Ted Cummings, according to the ballot count as of Tuesday evening. Cummings works at Kaiser Aluminum and runs a small ranching operation in Chattaroy. After learning the results Tuesday evening, he said he would consider challenging Shea in a future election. McCaslin had about 61.5 percent of the vote in his race Tuesday evening, defeating Democrat Mary May. McCaslin was first elected to the House in 2014 and has sponsored legislation with Shea aiming to turn Eastern Washington into a 51 state called “Liberty.” May has worked as a city planner in Southern California and Spokane Valley, and as a regulatory consultant for the Washington governor’s office. The 4th District covers Spokane Valley and a northeast portion of Spokane County, abutting the Washington-Idaho border. Published: Nov. 6, 2018, 8:21 p.m. Updated: Nov. 6, 2018, 10:46 p.m.